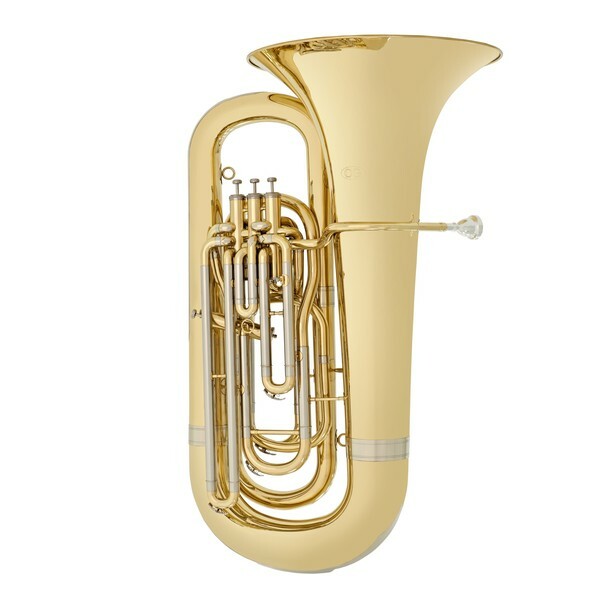 This professional Bb Tuba is the perfect instrument for progressing tuba players. It provides a lovely playability and great response with a warm mellow sound that you would expect from a much more expensive instrument. Its 4 valve compensating system gives great projection and accurate intonation. 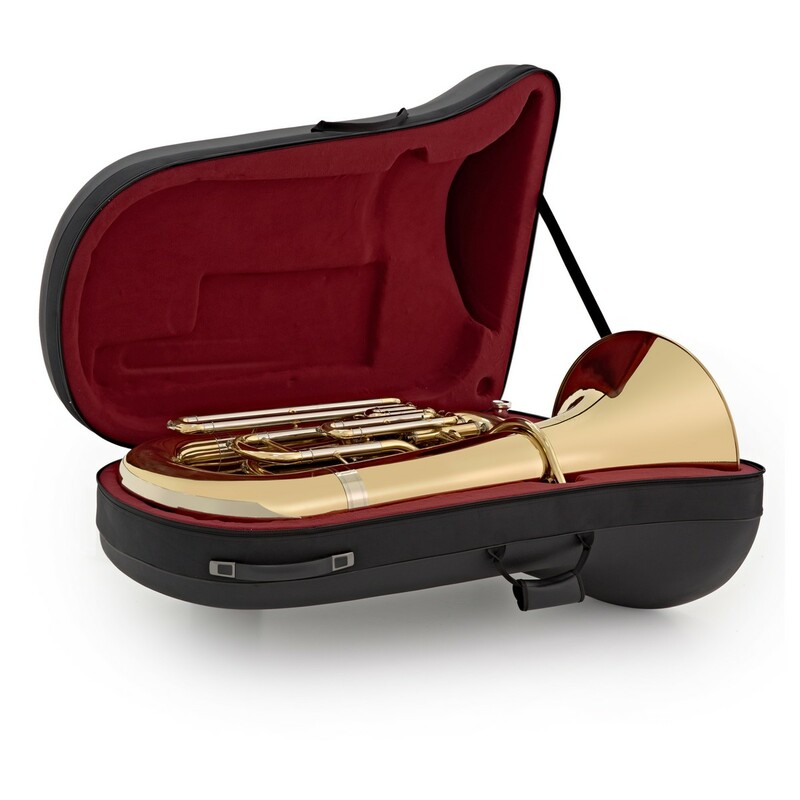 The Coppergate tuba also comes with a mouthpiece and hard case. 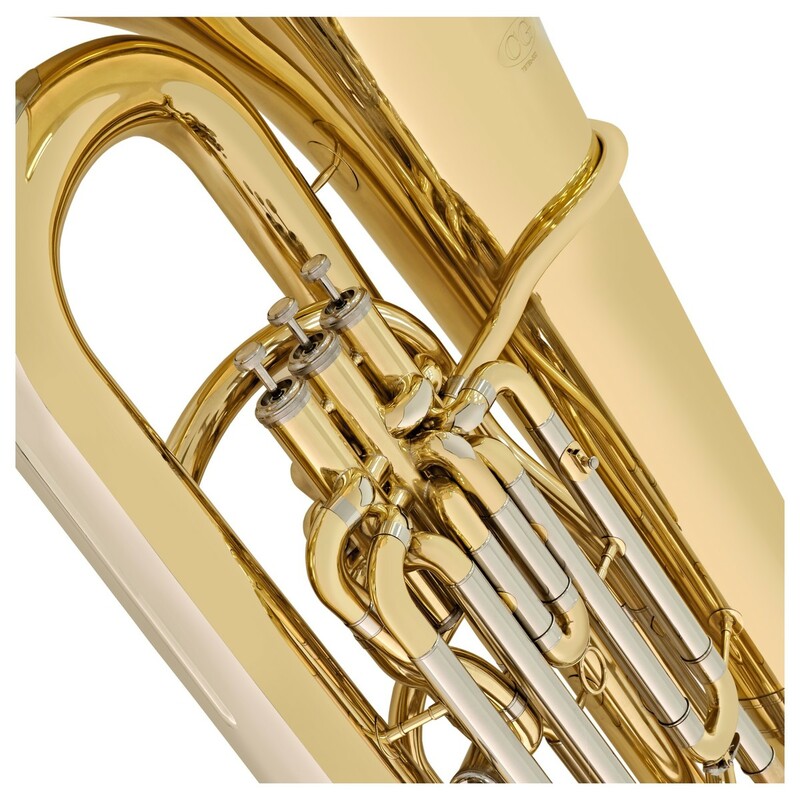 With its traditional British 3 + 1 compensating piston valve system, the Coppergate Professional 4 Valve Bb Tuba is an ideal Brass Band instrument. 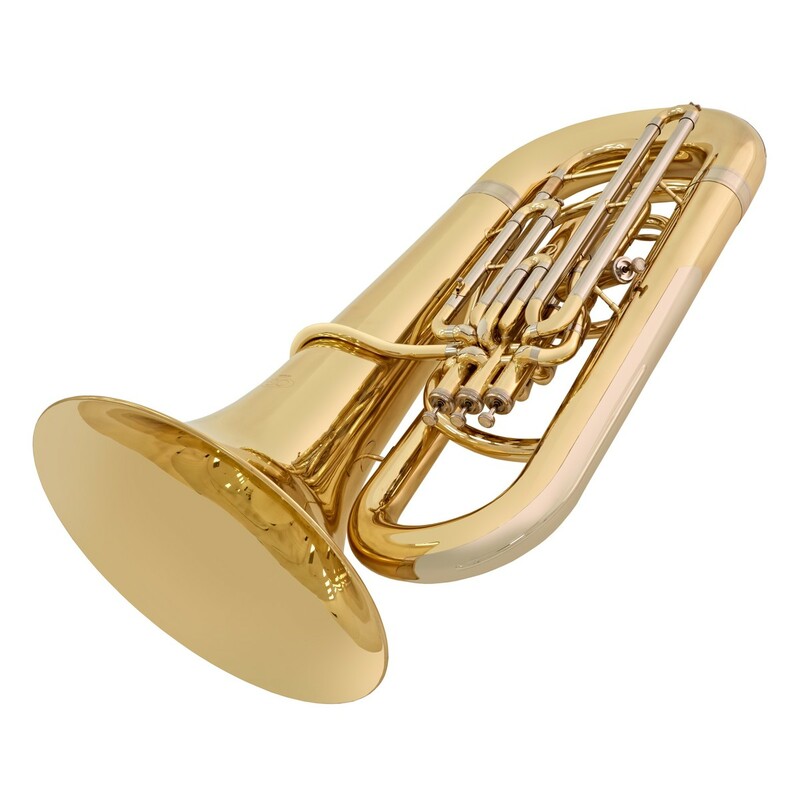 With a traditional 4 Piston Valve Compensating System, the Coppergate enables you to play in lower octaves, and use less complicated fingerings, leading to a better sound and easier playing experience. This system has an improved range and greater dexterity than a 3 valve setup, with far superior intonation, sound and overall playability. 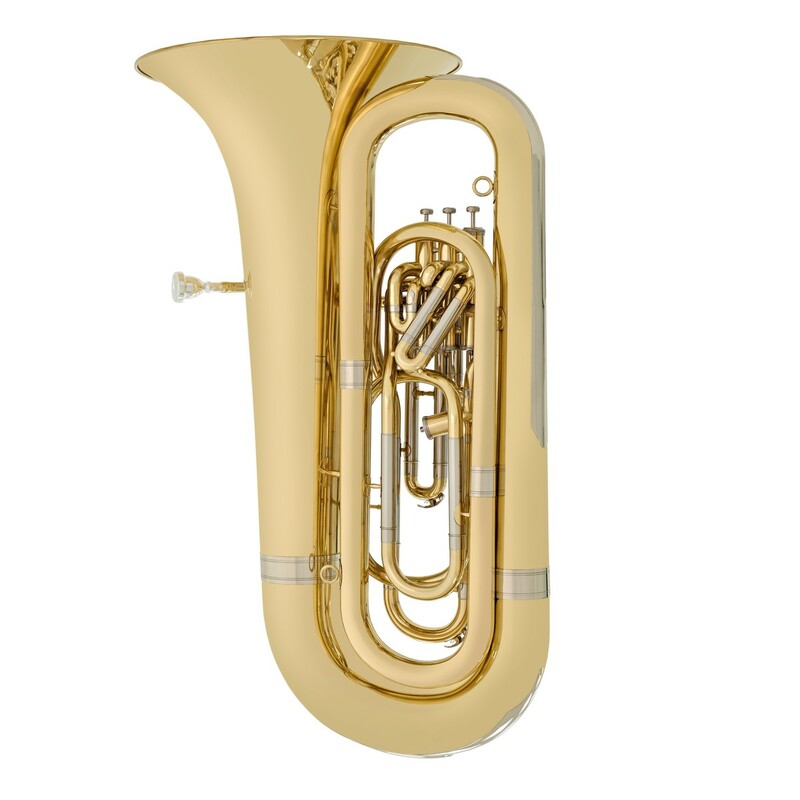 The Coppergate Bb Tuba has a medium sized bore (19mm) which requires less air to play than a large bore tuba, making this instrument very responsive, perfect for advancing tuba players. Yellow brass construction on the bell ensures good acoustic properties and helps the Coppergate produce a warm mellow sound. 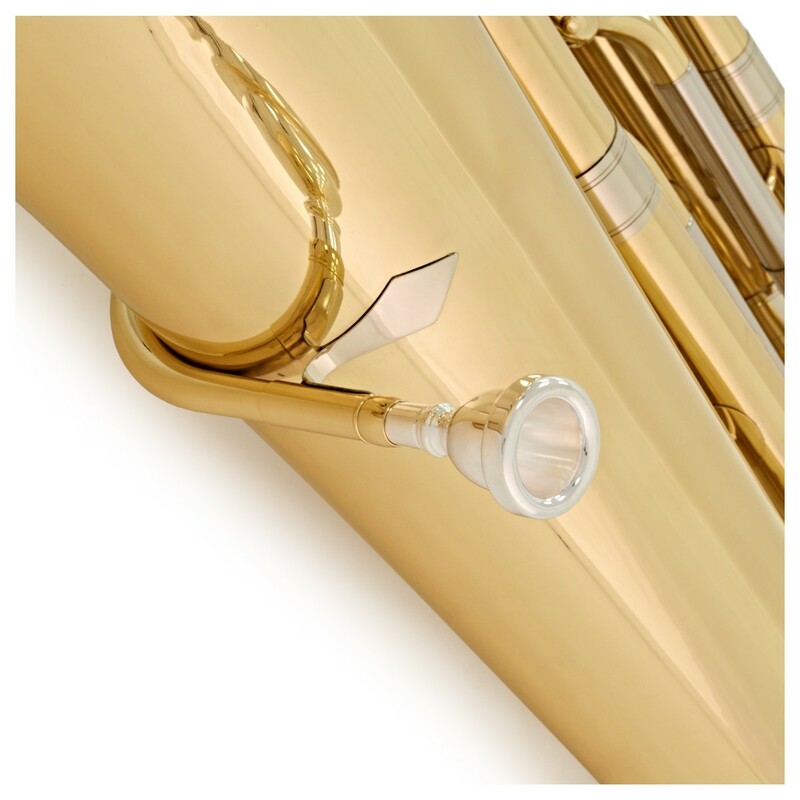 Corrosion resistant Cupronickel tuning slides and stainless steel pistons guarantee that this tuba is designed for repeated use in a variety of environments and will give you the same high quality sound for years to come. Complete with a hard case with wheels, this tuba is ideal for use in Brass Bands. 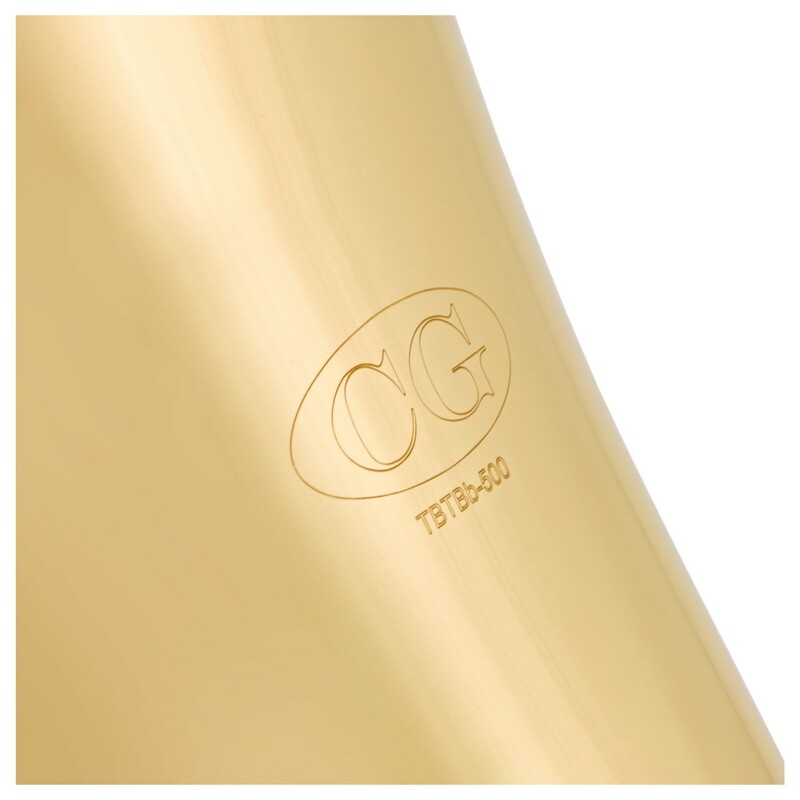 The mouthpiece of the Coppergate connects directly to a straight lead pipe; a very comfortable design for Tuba's of this size. 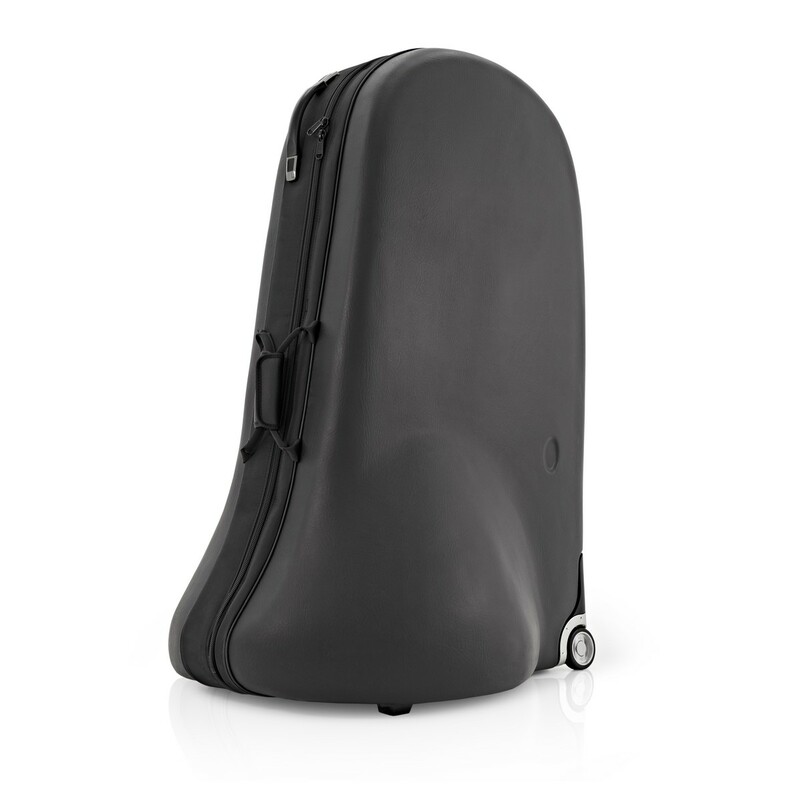 The durable case ensures that your new instrument will be thoroughly protected as you travel to and from performances, and the wheels mean that you will not have to struggle with the weight for the instrument.